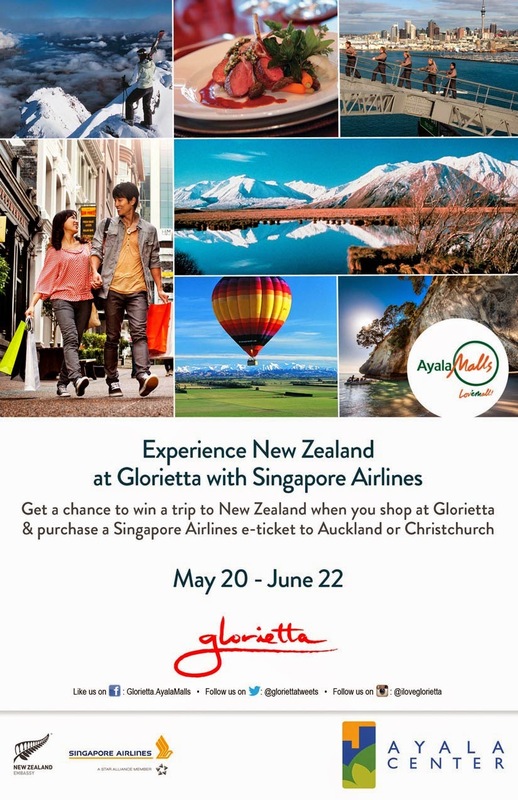 MANILA, Philippines – The New Zealand Embassy, has partnered with Singapore Airlines and Glorietta as they bring together this year’s ‘Experience New Zealand at Glorietta with Singapore Airlines’, a fair to be held at the Glorietta Activity Center, Palm Drive from June 20 to 22, 2014. The fair will give Filipino travelers a foretaste of the finest New Zealand has to offer, from a variety of delicious food and fresh produce, to the best travel deals to New Zealand’s picturesque cities. Photo of the contract signing shows (from left, standing): Myrna Fernandez, Ayala Land Assistant Vice President; Hernando Banal, New Zealand Trade Commissioner, New Zealand Embassy; Rita Dy, Manager for Marketing Communications and Services, Singapore Airlines; (seated): Rowena Tomeldan, Ayala Land Vice President and Head of Operations and Support Services, Commercial Business Group; H.E. Ambassador Reuben Levermore, Ambassador of New Zealand to the Philippines, New Zealand Embassy; Ranjan Jha, General Manager, Singapore Airlines.